1. Each family needs to procure $250 in auction item(s). 2. The first Auction Procurement Drop-off is Wednesday, November 14th at morning drop off. We will have parents and kids alike to grab your auction donations. The families who drop off their items on that day will be put into a raffle to win 2 complimentary ticket to attend the Auction. We look forward to another great auction! Questions? Contact karegunther@yahoo.com or kristendambach@hotmail.com or fundraising@st-johnschool.org. What a night – thank you! Thank you, St. John community. The Auction Team would like to thank everyone who contributed to this past Auction week! We want to thank everyone making the past week a memorable one – whether you attended the Live Auction itself, the online Auction or as one of the many volunteers! We want to thank you, you make St. John and amazing place. We don’t have the final number of dollars raised, but it was a fun and lively bidding experience. We loved your interpretations of our Denim & Diamonds theme! Please stop by Egan today and tomorrow after school to pick up your items. The first batch of Special Wine Glasses will also be available. Contact the Auction at fundraising@st-johnschool.orgto make other arrangements if necessary. Contact the Auction at fundraising@st-johnschool.org to make a purchase or get more information. Orders for Candid Photos will be taken until Friday, April 27. Visit the St. John Auction webpage to view the photos and place your order. Our 8th graders have created etched stemless wine glassesto celebrate their past nine years at St. John. Jen Bergman and her team lead the students in creating these beautiful memories. The students used words from the school themes of the last nine years – wonder, light, love, faith, etc. 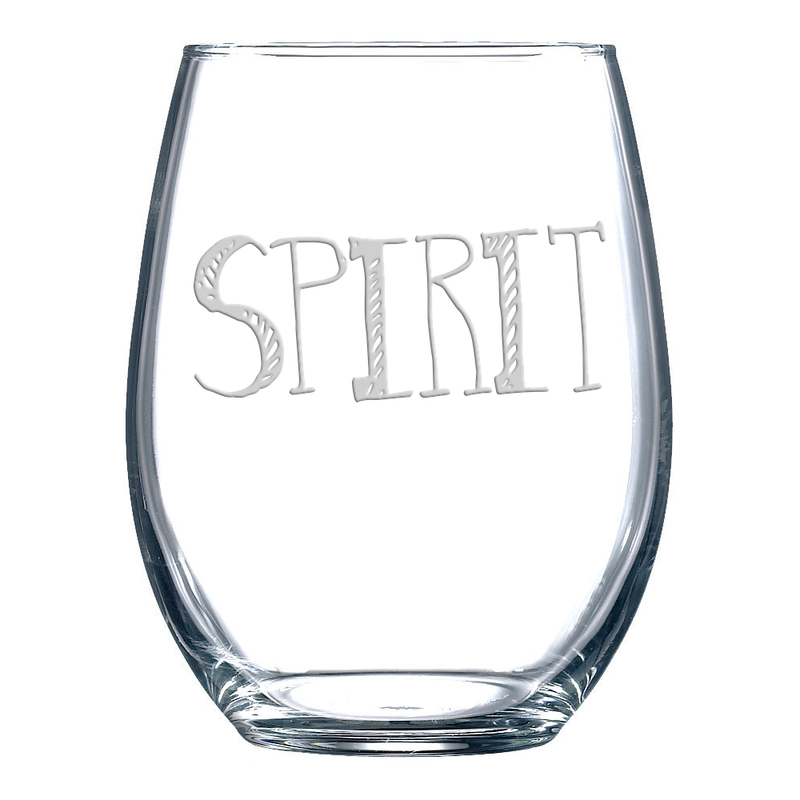 These wine glasses are available to the entire St. John community for $15 each. We are placing an order on Friday, April 27th, so please place your order here. Below is just a sample of the wine glasses available view all of them on the St. John Auction webpage. If you were not able to attend the Auction and want to see our Fund-a-Need video, please take a look. You may also donate to Fund-a-Need or the Auction here. Tickets for the $2500 raffle must be returned to the school office no later than Friday April 27th. All tickets sold or unsold must be returned. We want to thank our Auction sponsors, they contributed a generous amount of money to help underwrite the cost of our Auction. They have helped the Auction give more back to the school’s operating budget with their generous contributions. Please thank them when you see them. Aurora Plumbing Supply Co. Inc.
We are so thankful for your monetary donations and the services you provide to our community. Now, the fun can begin; we can start to unveil our amazing Live Auction items! 1. Whistler Condo, new this year! – As soon as school is out, grab your passports and head up to Whistler Creekside and enjoy the first week of summer! Friday, June 15 – Friday, June 22, 2018. Stay in a modern, two-bedroom suite with a full kitchen, dining area, open living area with a cozy fireplace, private balcony and an in-suite washer and dryer. The amenities are endless with an outdoor heated pool, two hot tubs, a sauna, eucalyptus steam room, fitness center, a games room and a media room. Located slope-side in Whistler Creekside, a lively yet laidback alternative to nearby Whistler Village. This amazing item was donated to us by the McMahon family who are new to St. John this year and have a fifth grader. Thank you for your generosity, McMahon family. 2. Seattle Four Seasons & Goldfinch Dinner, new this year! – Celebrate a birthday, anniversary or special night away with a one night stay in a Seattle View King Room at the Four Seasons Hotel Seattle. This Auction item Includes dinner for two at Goldfinch Tavern (dinner value up to $150). Thank you to the Four Seasons and Goldfinch for this amazing donation. 3. Fremont Mischief Distillery Tour, new this year! – Enjoy a gift certificate for four people (21 and over!) to tour Fremont Mischief Distillery, voted Best Distillery in 2017 by Seattle Weekly and then taste a flight of their best spirits. The winning bidder also receives one bottle of Vodka, one bottle of gin, and one bottle of Rye Whiskey, a flask and two cut whiskey glasses all displayed on a beautiful serving tray. We want to thank the Osterfeld Family and Mischief Distillery. The Osterfelds have two boys at St. John and are huge Seahawks fans! GALA DINNER & LIVE AUCTION TICKETS ON SALE! Tickets to the Gala Dinner & Live Auction on April 20, 2018 at Fremont Studios are on sale at Bidding for Good now! Denim tickets are $110 per person and include a delectable dinner from Kaspar’s, hosted wine from Gifford Hirlinger and After-Party entertainment. Diamond tickets are $150 per person and includes a special wine glass, a Signature Cocktail, and more. If you would like to sponsor a teacher to attend the event, we have Denim tickets available for you to purchase and donate. Tables seat ten, so please think about with whom you would like to dine. Denim ticket prices will increase on March 30th, so get your tickets sooner rather than later. We look forward to seeing you at the Auction on Friday, April 20th at Fremont Studios. Our 8th graders have created etched stemless wine glasses to celebrate their past nine years at St. John. Jen Bergman and her team lead the students in creating these masterpieces. They used words from the school themes of the last nine years – wonder, light, love, etc. These wine glasses are available to the entire St. John community for $15 each. A few examples are shown below. See all of them and order one or a dozen on the St. John Auction webpage. We have many volunteer jobs that need to be filled before, during, and after the Auction event of 300+ people. Volunteering for the Auction is a great way to meet people and support this important fundraiser. Please see the Auction Sign-up Genius to volunteer for this wonderful event: Denim & Diamonds Auction Volunteer . It takes a village to make our annual fundraiser a success. This year’s 8th grade class created by hand the art which were then etched onto these very special stemless wine glasses. They chose words based on the School Themes from their many years at St John- including glory, faith, love, light, soul, wonder and more. These words coupled with their artwork capture the sprit of being a part of the St John School community throughout their childhood, as they get ready to move on. 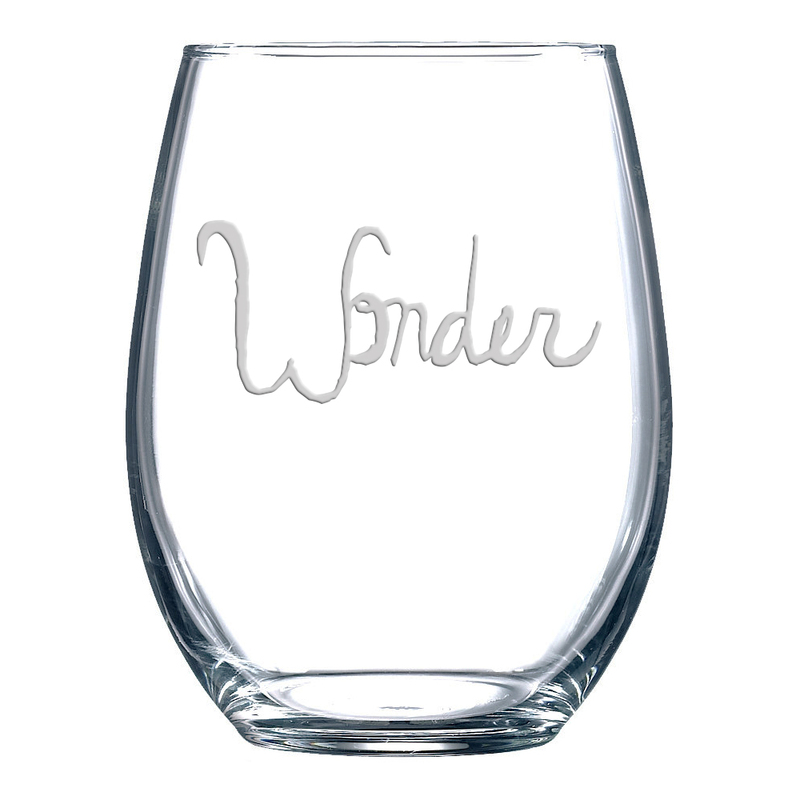 These glasses make both a wonderful memory for families and a beautiful addition to your glass collection. Use the order form below to purchase a group of glasses based on words that have special meaning to you, on the students who created them, or even just handwriting that you love. You will never tire of toasting with these glasses that have such a very special meaning. Glasses are $15 each. Click on glass for a larger photo.